Another South Korean conglomerate has announced it will enter the blockchain and cryptocurrency arena. 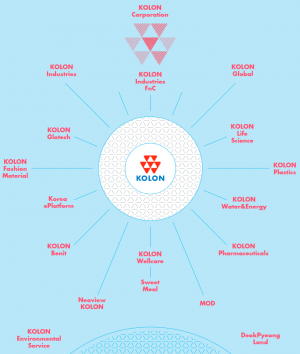 The Kolon Group, a multi-billion dollar, family-owned chaebol business group with subsidiaries that deal in auto parts, fashion, construction, healthcare, chemicals and textiles, has announced that its companies’ fledgling blockchain units are already working on pilot initiatives and blockchain deals. Per FnNews, one of the company’s subsidiaries is working on a platform that rewards energy-saving households with “digital tokens” – possibly cryptocurrencies. The company’s construction arm, meanwhile, is said to be working with a domestic startup on a platform that may allow residents to pay their rent in cryptocurrencies. And Kolon’s IT subsidiary, Kolon Benit, is now piloting a blockchain technology-powered real estate land registry pilot in conjunction with banks, the Ministry of Land, Infrastructure and Transport and domestic blockchain company Blocko. The pilot is being conducted on the island province of Jeju, whose governor readers may recall is the pro-blockchain and -cryptocurrency Won Hee-reong. Won has previously promised to create a special zone for the issuance of initial coin offerings (ICOs), using the province’s special legal status to help it get around the thorny issue of the government’s ICO ban, which it has recently decided to uphold. And all may not be lost on the ICO front in South Korea. In addition to an MP’s ambitious private members’ bill (which, if implemented, would allow for regulated ICOs in “sandbox” conditions) a further ray of ICO-related hope has now emerged. As previously reported, the National Assembly’s policy advisory Industry 4.0 committee has been divided into three subcommittees, one of which will tackle blockchain technology. According to ZDNet Korea, the committee is looking to create a “tentatively named ICO Taskforce,” which is now gathering expert members, including some of the country’s leading IT academics. Although the government still has the final say on the status of the ban, the taskforce could potentially advise it to reconsider its position.